Level343 specializes in multilingual SEO services, with experience in optimizing global, multinational enterprise company websites.Our international SEO team covers 13 languages, including French, Italian, Spanish, German, Dutch, English, Chinese, Taiwanese, Russian, Hungarian, Japanese, Turkish and Arabic. Each member understands this industry, from the technical aspects to the critical thinking required to handle international campaigns. Language nuances affect keyword research, and translation tools will never be able to accurately handle this task. Our team lives within the target markets you are trying to reach, and they are your connection to that market. Your global market is just a contact away. Gabriella is Level343’s fearless leader. Level343 handles marketing strategies and SEO copywriting, specializing in sophisticated and innovative Organic SEO techniques. Gabriella’s primarily aims to increase clients’ site traffic and further develop their businesses through the presence of the web and online communication. Her goal is to help businesses of all shapes and sizes, in all countries and industries – to put their website and social activities on the Internet map of success. Her passion is building brands through social media marketing techniques while providing relevant copywriting; thus allowing the business presence to seamlessly integrate within an overall organic SEO strategy. She has been instrumental in writing an SEO book, “The Internet” by Ann Kaplan. Gabriella è l’intrepida leader di Level343. Level 343 si occupa di strategie di marketing e di copywriting SEO, con un focus particolare su tecniche di SEO organico innovative e sofisticate. L’obiettivo principale di Gabriella è accrescere il traffico sul sito dei suoi clienti, nonché sviluppare il loro business attraverso la presenza sul web e attività di comunicazione online. Il suo grande know how può essere messo al servizio di aziende di ogni tipo e dimensione, in ogni mercato e Paese, consentendo ad ogni realtà di avere successo sul web, sia attraverso il sito istituzionale che grazie ad attività più “social”. La sua passione è creare marche di successo grazie a tecniche di social media marketing, garantendo allo stesso tempo dei contenuti rilevanti; in questo modo la presenza aziendale può integrarsi in maniera continuativa con una strategia di SEO organico. Da ultimo, ma non ultimo, Gabriella ha avuto un ruolo fondamentale nella stesura del libro sul SEO “The Internet” di Ann Kaplan. Wissam is an SEO and Internet Marketing consultant who currently lives in Daytona Beach, Florida and is the founder of LebSEO Design. Wissam is originally from Lebanon and holds a Bachelor Degree in Finance from the American University of Beirut. He started In Affiliate Marketing in early 2008 and opened his full service digital marketing company in 2009. For more than 4 years, Wissam has been involved in projects with widely ranging requirements and budgets. Wissam is a seasoned tri-lingual SEO Consultant (Arabic, French and English) with a strong understanding in analytics and social culture. His passion for SEO and analytics provides Level343 clients with unmatched technical and analytical experience. يعمل وسام مستشاراً في التسويق وتهيئة المواقع بمحركات البحث (SEO)، وهو مؤسس شركة ’ليب سيو ديزاين‘ من أصل لبناني يسكن حالياً في دايتونا بيتش في فلوريدا. يحمل وسام شهادة البكالوريوس في التمويل من الجامعة الأمريكية في بيروت، وقد بدأ حياته المهنية في ’أفيلييت ماركيتينغ‘ في مطلع سنة 2008 ثم افتتح شركته الخاصة لخدمات التسويق الإلكترونية الكاملة سنة 2009، وقد عمل لأكثر من أربع سنوات على مجموعة واسعة من المشاريع التي تتنوع في متطلباتها وأحجام ميزانياتها. يتكلم وسام ثلاث لغات (العربية والفرنسية والإنكليزية) ويتميز بحنكته وقوة فهمه للشؤون التحليلية والثقافة الاجتماعية، ويقدّم شغفُه بالتحليل وتهيئة المواقع بمحركات البحث (SEO) لزبائن Level343 خبرةً فنية وتحليلية لا نظير لها. Shu-Yao joins Level343 with eight years of hands-on digital marketing experience in areas of display advertising, Search Engine Marketing (SEM/PPC), Search Engine Optimization (SEO), Social Marketing, and Mobile Marketing. Shu-Yao worked in the digital marketing and e-commerce business sectors with market-leading companies, including Yahoo, Webtrends, Amazon and a couple of digital marketing optimization start-ups. Shu-Yao’s expertise is to utilize advanced targeting dimensions (geographic targeting, demographic targeting, contextual targeting, behavioral targeting, re-targeting etc.) along with various optimization techniques (day-parting, creative optimization, landing page optimization, etc.) to increase marketing campaign performance and advertisers’ ROI. Particularly, Shu-Yao is a strong believer in capturing KPI and establishing business insight for every campaign. Only through quantified business insight, advertisers can establish sustainable advantage. Shu-Yao is a native Chinese speaker and reader. He reads both traditional Chinese and simplified Chinese. Shu-Yao received his PhD degree in Computer Science from UCLA and Bachelor degree in Computer Science from National Taiwan University, and he finished his MBA at Santa Clara University in December 2012. In his leisure time, Shu-Yao enjoys practicing Chinese martial art. Sante lives in Italy and works out of a small medieval town called L’Aquila, 1 hour east of Rome, recently hit by a devastating earthquake in April 2009. After acquiring a degree in engineering in 1986, he worked for major aerospace companies as a design engineer. In 1991 he joined the European Space Agency as a project management team member. In 1993 was introduced to the World Wide Web and took an interest to the technology and the far reaching implications it would have on society. In 1994 he participated in the second World Wide Web Conference held in Chicago to better understand the Web, and immediately afterwards resigned from his post with the European Space Agency to start his own company. 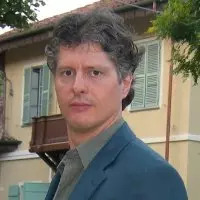 Today he is a Professional Search Marketing Consultant to Industry, Regional Government with 17 years of hands on working experience, and provides consulting services in partnership with major Italian Web Agencies Web Certain (UK), and Nordic eMarketing (Iceland). Sante ha una laurea in ingegneria e si occupa di Web e Web Marketing dal 1995, quando ha attivato il primo POP (Punto di Accesso) Internet dell’Aquila ed uno dei primi in Italia. In una vita lavorativa precedente, ha lavorato per grandi aziende e per l’Agenzia Spaziale Europea dove ha scoperto il web. Ha una vastissima esperienza accumulata in 17 anni di attività pratica e concreta, gli piace “sporcarsi le mani” e fare le cose – solo così s’impara. Ha ottimizzato ed analizzato centinaia di siti anche di grandi dimensioni e sa che i fattori critici di successo di una iniziativa di Web Marketing sono il frutto di un compromesso che tenga in conto tutte le variabili che concorrono al funzionamento di una azienda. Sviluppa molte attività di ottimizzazione e posizionamento organico e gestisce campagne di Search Advertising. È bilingua e sviluppa volentieri contenuti per siti web. Since August of 2011, Klas has run SEO Training sessions for copywriters and online news editors as well as writing articles for various IT related online magazines. Previously, Klaus was a reporter at IDGNoW! Brazil’s branch of the IDG Network, pursuing search and internet-related themes for Computerworld and similar sites. He has been covering SEM, SEO and searchmarketing since June of 2009, and is a certified SEO professional. Klaus is fluent in German, English and Portuguese languages, has some basic Spanish language abilities, and some elementary Arabic (both written and spoken). – Multi-search engine strategies (SEO, SEM & SMO). Klaus Junginger é jornalista. Foi repórter do IDGNOW!, redator da ComputerWorld e contribui regularmente com diversos sites de tecnologia, sempre voltado ao mercado de searchmarketing. Depois de assumir a editoria do Portal Imprensa, deixou a organização para dedicar-se aos curso de SEO e de gestão de crise online para redatores, jornalistas e assessores de imprensa. Fluente em alemão e em inglês, Klaus tem dezenas de artigos sobre SEO publicados em periódicos do exterior. Doc Sheldon retired from his business management consultancy in 2008 and became a perpetual student of all things SEO. He began providing professional webcopy to a worldwide array of clients, and has been actively involved in SEO for over five years, and writing professionally for nearly forty. Doc Sheldon se jubiló de asesoría de dirección de negocios en 2008, transformándose en estudiante perpetuo de todo lo relativo de SEO. Empezó como proveedor de contenido textual a una selección de clientes mundiales, tiene cinco años en la rama de SEO y más que cuarenta años escribiendo profesionalmente. Elizaveta was born in Moscow, Russia and has recently moved to the United States. She has a Master’s degree in Linguistics and Intercultural Communication from the State Academy of Slavic Culture in Moscow. While in Moscow, she worked at Oracle and Informatica as Marketing Manager for Russia and CIS and was responsible for planning and executing global and local campaigns on the territory. Elizaveta integrated English marketing materials into the Russian market. She is fluent in both Russian and English. Елизавета закончила факультет лингвистики и межкультурной коммуникации Государственной академии славянской культуры в Москве. Во время работы в ИТ-корпорациях Oracle и Informatica, в качестве менеджера по маркетингу России и стран СНГ, занималась локализацией маркетинговых материалов о продуктах компании, подготовкой и проведением мероприятий международного масштаба и стратегическим планированием представленности компаний на рынке. Свободно владеет русским и английскими языками. В настоящее время проживает в США. Italian native speaker, he is fluent in both English and Portuguese, language for which he has advanced level CELPE-BRAS certificate. He currently lives in Brazil in the state of Santa Caterina, where he works as a SEO and Web Marketing consultant. With a background in the humanities (BA in English and North American literature) deals with web and multimedia since 1996 by developing technical skills that will enable him later to intervene in all aspects of SEO. After working at the publishing houses Editori Riuniti and Treccani, dealing with multimedia design and development, he begins to deal with SEO in 2005 first as a freelancer and then, from 2008 to 2014, at the SEO agency SEMS (now FullPlan) in Milan, where he has opportunity to work on projects for multinational companies including Fiat, Parmalat, Nestlé, Bayer, Campari and Expedia, developing a solid background of knowledge in all areas of SEO, with a particular focus on SEO copywriting, information architecture and web analytics. He firmly believes in the importance of working at 360° on all the digital assets of the customer to optimize their online presence in every aspect of digital marketing. Italiano madrelingua, parla fluentemente sia l’inglese che il portoghese, lingua per la quale possiede la certificazione CELPE-BRAS di livello avanzato. Vive attualmente in Brasile nello stato di Santa Caterina dove lavora come consulente SEO e Web Marketing. Con un background umanistico (laurea in lingua inglese e letteratura nord-americana) si occupa di web e multimedia fin dal 1996 sviluppando skills tecnici che gli permetteranno in seguito di intervenire in tutti gli aspetti della SEO. Dopo aver lavorato presso le case editrici Editori Riuniti e Treccani occupandosi di progettazione multimediale, inizia a occuparsi di SEO nel 2005 prima come libero professionista e poi, dal 2008 al 2014, presso l’agenzia SEMS (ora FullPlan) di Milano, dove ha la possibilità di lavorare a progetti per clienti di livello internazionale quali Fiat, Parmalat, Expedia e Nestlé, sviluppando un solido background di conoscenze in tutti gli ambiti della SEO, con un focus particolare per il SEO copywriting, l’organizzazione dell’architettura informativa e la web analytics. Crede fermamente nell’importanza di lavorare a 360° su tutti gli asset digitali del cliente per ottimizzarne la presenza online sotto ogni aspetto del digital marketing. Ha tenuto lezioni di Search Engine Marketing presso l’Università IULM di Milano ed è co-autore del “Dizionario Informatica, ICT and New Media” edito dall’Istituto dell’Enciclopedia Italiana – Treccani. Nativo italiano, fluente em Inglês e Português, idioma para qual conseguiu a certificação CELPE-BRAS de nível avançado. Atualmente vive no Brasil, no estado de Santa Catarina, onde trabalha como consultor de SEO e Web Marketing. Com formação em Ciências Humanas (BA em Inglês e Literatura norte-americana) lida com a web e multimídia desde 1996, através do desenvolvimento de competências técnicas que lhe permitirão mais tarde de intervir em todos os aspectos da SEO. Depois de trabalhar nas editoras Editori Riuniti e Treccani onde lidou com a concepção e realização de obras multimídia, começa a se ocupar de SEO em 2005 antes como freelancer e depois, de 2008 a 2014, na agência SEMS (agora FullPlan) em Milão, onde teve a oportunidade de trabalhar em projetos para clientes internacionais, como Fiat, Parmalat, Nestlé, Bayer, Campari e Expedia, desenvolvendo uma base sólida de conhecimentos em todas as áreas da SEO, com foco particular em SEO copywriting, organização da arquitetura da informação e web analytics. Ele acredita firmemente na importância de trabalhar a 360° em toda a presença digital do cliente para otimizar sua visibilidade on-line em todos os aspectos do marketing digital. Lecionou Search Engine Marketing na Universidade IULM de Milão e é co-autor do “Dicionário de Informática, TIC e New Media”, publicado pelo Instituto da Enciclopédia Italiana – TRECCANI.